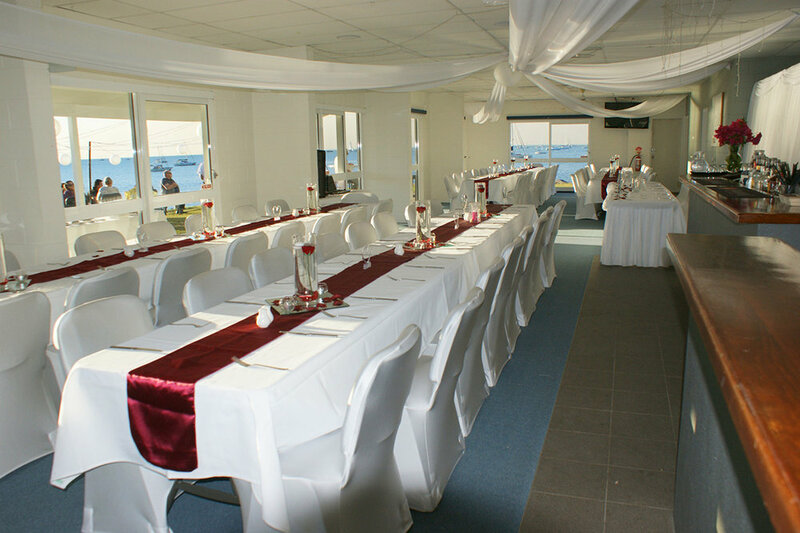 The Whitsunday Marine Club (or VMR as it's known by locals) has been a favourite venue in the Whitsundays for years. A simple no fuss building on the absolute waterfront in Cannonvale. The location is stunning, with the option to have your function on the lawn right along the ocean edge you have uninterrupted views of Pioneer Bay and the Whitsundays. You simply hire the building and choose your catering company, wedding planner and decor company to make your event shine. The Marine Club is affordable and features a bar area, amenities and dance floor to celebrate the night away.